Be the first to share your favorite memory, photo or story of Kristina "Spooky". This memorial page is dedicated for family, friends and future generations to celebrate the life of their loved one. Kristina “Spooky” Evon Porter Allen passed away on Sunday, July 29, 2018. She was born on October 23, 1932, in Moss Point, MS. She was the daughter of the late William Kenneth Porter and Rebecca Helena Erikson Porter. She was the beloved wife of Billy Elmer Allen for 62 years and a loving mother to her daughters, Rebecca (Christopher) Masters and Patricia (Joseph) Pitt all of Ocean Springs, MS. Mrs. Allen was the grandmother of Rebecca Kristine Masters (Nick) of Gulfport, MS, James Conner Masters of Ocean Springs, MS, Carter Allen Williams of Auburn, AL, and Ethan Porter Williams of Ocean Springs, MS.
Mrs. Allen is survived by one sister, Audrey Voncille Porter Harvey Meushaw. She was preceded in death by her brother, Kenneth Rudolph (Dot) Porter. Kristina was 85 years of age and was raised in Moss Point, MS. She graduated from MGCCC Perkinston where she met her cherished friend and college roommate, Mary Elsie Hubley. She was employed as Bookkeeper for the Mississippi Export Railroad, where she retired after 42 years. She was a member of First Baptist Church of Gautier and previously East Moss Point Baptist Church where she served as Organist for many years. 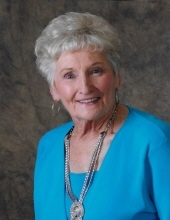 She enjoyed traveling, going to plays, and having lunch dates with her fun-loving cohorts. The visitation will be held on Thursday, August 2, 2018 from 10 a.m. until 11 a.m. at First Baptist Church of Gautier, 325 De La Pointe Dr., Gautier, MS. Funeral service will begin at 11 a.m. Interment will immediately follow at Pinecrest Cemetery. To send flowers or a remembrance gift to the family of Kristina "Spooky" Evon Porter Allen, please visit our Tribute Store. "Email Address" would like to share the life celebration of Kristina "Spooky" Evon Porter Allen. Click on the "link" to go to share a favorite memory or leave a condolence message for the family.